THE WORKERS PARTY (PT) LAUNCHES LULA’S PRE-CANDIDACY FOR THE PRESIDENCY: The day following the decision of the Regional Federal Tribunal to slap a new condemnation on Lula, the PT launched Lula’s pre-candidacy for the Presidency from the CUT  headquarters. Further to a unanimous vote taken at the enlarged National Executive of the Unions, PT president Gleisi Hoffmann  announced Lula’s pre-candidacy and the launch of debates on the topic of a Government Plan. She said: “Our role is to re-commit to a front of opposition in defence of the Brazilian people. Lula is the candidate of a very important part of the Brazilian population. 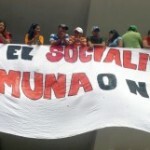 It falls to us and to the social movements to protect and defend this candidacy”. When the vote began, everyone stood up and chanted Lula’s name. 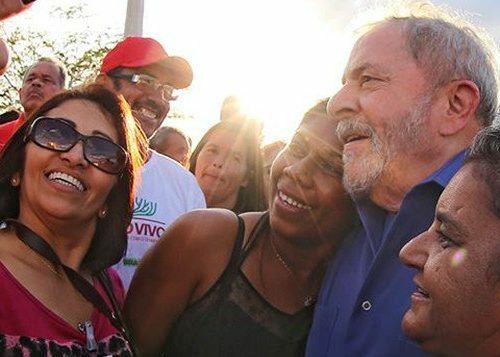 Lula on the campaign’s trail in the face of prison threats. The condemnation of Lula in second instance  by the Regional Federal Tribunal of the 4th Region has been another step in the putschist process happening in Brazil. Keen for a new pretext to weaken Lula some more, the right wing and all the papers of the Globo group speculate on Lula being thrown in prison, or not standing at all. During the meeting of the PT Executive Committee, Dilma Rousseff who was present had said: “He who gets 40% of voting intentions cannot be said to be isolated!” She highlighted the importance of the people having taken to the streets to prevent the putsch. She added: “In this country, the big test will be in October. We need to take stock of our forces and prepare to announce the clear possibility of our victory. The putschists are becoming more extreme because the Temer government has not succeeded in taming the country. It has failed to subjugate Brazil economically, socially or politically”. The PT Conference seeks to establish a Government Programme to accompany the electoral campaign. It wants this programme widely elaborated and discussed in the whole country. Those involved consider that the challenge is high. The programme will have to be better than in the past. Governing this country after all the ravages wrought by the present Temer government is going to demand a lot. Plenary assemblies are planned in all the States accompanied by extensive internet debates. 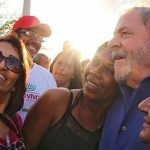 The fourth stage of the ‘Lula Project for Brazil’ has started. Campaign caravans are on their way to visit the whole country, with the participation of Lula himself. On the occasion of the above-mentioned PT conference, Governors, parliamentarians, envoys from the social movements and from the Trade Unions expressed their solidarity with ex-president Lula. They also contributed ideas for the campaign strategy of the coming months. Joao Pedro Stedile is the leader of the Landless Movement MST. He set the tone in the matter of how to resist the Federal Regional Tribunal’s verdict against Lula. He said: “The working class has already made its choice. The MST and the Movement Via Campesina want Lula for President of the Republic. And to the judges I say, don’t think you are the country’s masters. We won’t have comrade Lula thrown into jail!” The MST will join the coming General Strike and all the future mobilisations. Through its national President Vagner Freitas, the National CUT warned entrepreneurs, bankers and speculators that they are too quick at cheering Lula’s condemnation. Brazil is going to have its General Strike on 19 Feb. 2018. In refutation of the Tribunal’s decision, the strike will be total in the enterprises and the banks. In this Conference, Vagner Freitas discussed the necessary reorganisation of the left in the country. He highlighted the putschist character of the Tribunal’s pronouncement and the hypocrisy of the right-wing parties that finance the medias to produce an avalanche of anti-Lula’s lies and false news. The same media announced the Tribunal’s verdict before it had even been enacted! In Porto Alegre, where the Tribunal was being held, many young people took part in very important demonstrations. Indeed, a right-wing ‘coup’ was foiled on that day. Conference considered that street resistance is the only workable option. One must maintain it and raise its level still higher. A global offensive is needed to defeat the neo-liberal attacks coming from the world and also from Brazil. Jornal Revolucao Socialista – 25 Jan 2018. On 14 March 2018 Marielle Franco was executed in cold blood in a gun attack on her car in Rio de Janeiro. Her driver died also, and a back-seat passenger was gravely injured. Marielle had been a Councillor since 2016 and was a highly respected representative of the inhabitants of the Favela da Mare in the Rio’s Council Chamber. An immediate and furious reaction took place in the major towns of Brazil, starting with Rio where hundreds of thousands gathered in front of the Municipal Theatre. 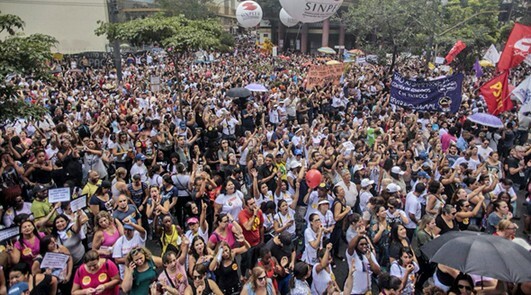 Thousands demonstrated at Cinelandia Square, Sao Paulo, and avenues were closed. On March 16, there were demonstrations at the US White House and vigils were held at Brazilian consulates. Marielle, 38, was born in the Favela da Mare. She started work at 11. She won a degree in Social Sciences and a Master in Public Administration. She was elected Councillor from the Socialism and Liberty Party. On Thursday 15 March, Trade Unionists, workers, students, left parties and community organisations gathered in Rio to pay their last respects. She was executed because she denounced the violent repression of the marginalised people, and now the militarisation of the police in the Favelas, apparently to wage war on drugs. In reality, 154 people were killed in acts of police violence in January 2018 alone, an increase of 60% on last years’ January figure. Marielle used to speak up for the destitute and the downtrodden. On 17 February 2108, she had denounced the Temer decree giving to soldiers the right to enter the Rio’s favelas, to control the police there and to settle the problems with guns. European MPs and Amnesty International have protested. The Procurer General of Brazil Raquel Dodge, called Marielle’s execution “an attack on democracy”. The singer Caetano Veloso has written a song for Marielle. The campaign to oppose police and governmental violence continues. 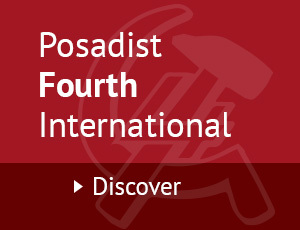 The Posadiststoday.com pay homage to Marielle, to her struggle for social transformation, and to the movements of Dilma Rousseff and Ignacio Lula da Silva as they continue the struggle. The Single Trade Union Centre in Brazil. Glesi Hoffman is both Senator and the PT woman President. The Court of second instance is a higher Court.